Get the full Zante 2019 Hotel Guide & Events Guide, Free, straight to your phone or laptop! When you go on a boozy holiday, there are two things at the top of the agenda: a good selection of places to drink and a respectable place to recover the day after. 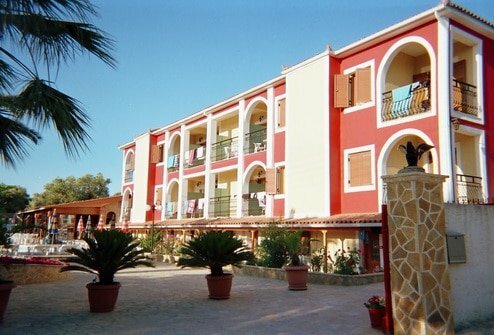 Rose Club Hotel in Zante offers both. This Club 18-30 hotel is regarded highly among young travellers for its friendly staff, happy hour and killer location. Below we’ve broken down everything you need to know about Rose Club Hotel Zante in our review, from rooms and facilities to the little additional costs you may not be aware of! Situated incredibly close (1 minute walk) from the bustling centre of Laganas, it offers a wide selection of watering holes which are open all summer round. The hotel is far enough away so if you need a night in you won’t hear the noise, but close enough that no taxi is required. Location is bang on. The beach, again, is a stone’s throw away from the Rose Club’s doorstep, giving you a choice between the pool or mediterranean (I know which one I’d choose). Unless you’re severely hanging – then get on your lilo and chill with a cocktail or beer. Rose Club Hotel offers two types of accommodation; studios and apartments. 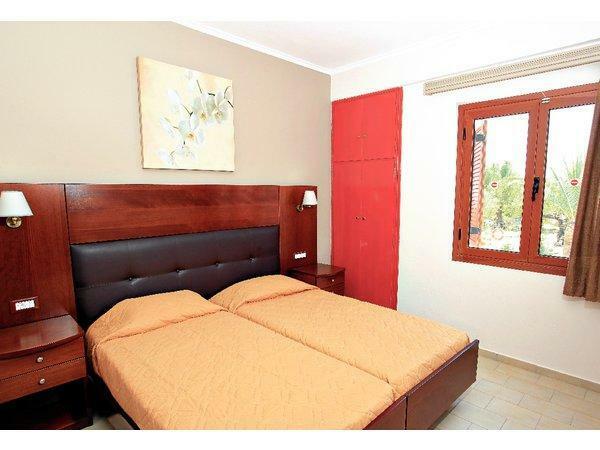 The only difference is the apartment features a double bed and sofa bed, the studio apartments offer twins. Sizes range from two to four people and all rooms also include air conditioning (payable locally), kitchenette (with fridge, kettle and toaster), safe, shower room and a balcony. Reviewing both, on Zante standards they’re pretty decent! Enjoy! An outdoor swimming pool is located in the middle of the complex so where ever your room is you’re only a few seconds from a refreshing dip. It’s also surrounded by a sun terrace, loungers and snack bar making for a great place to chill out and recover from the night before. Then, when the night rolls in, the hotel offers happy hour every day. Dependant on the time events are going on in the town, the staff always make sure it’s at a convenient time. Don’t worry, wifi is also available (at an additional charge) so you’ll be able to update your followers with snaps from your trip. What else do you need? Check out the Zante Vlogs & Blogs about the strip & it’s events right here! A few additional costs to bare in mind; €25 euros each for a room deposit, €15 euros a week for a safe, €5 per week for wifi and €50 euros a week for air con. There is also a tourist tax you will need to pay upon arrival at all hotels in Zante (unless stated otherwise). Air Con is something you’ll probably decline at first then wish you hadn’t! Get your Free A-Z Zante strip and events guide for 2019 right here and see the Zante Full Movie!